261 Whapload Road, Lowestoft, Suffolk, NR32 1UL. 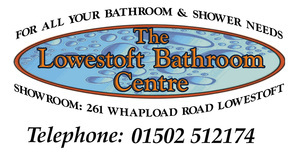 ​Come and visit our showroom and our staff will be happy to help you bring your bathroom ideas to life! Open 6 days a week, we are always on hand to offer help and support. Alternatively, please give us a call to book your free quote.